Discussion in 'Action Figures' started by Dearth, Jul 24, 2009. I think it's either Purple or White when it comes to Floyd. He looks great in either. 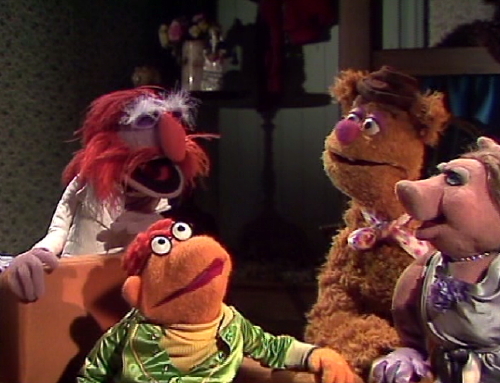 A lot of Muppets wore different stuff, like Scooter's in Elton John's episode, Cowboy Kermit, Tarzan Animal from Crocodile Rock, Elton John Sam Eagle, Sparkle Purple Tux Floyd, heck, there's so many great costumes. Anyone made a figure for Begoony from Fraggle Rock yet? Because if not, then I might make a figure of him and give him some long arms that are molded onto him, something I forgot to do with my other customs. And yes I am sticking with the Fraggle Rock version of him because the Begoony on Muppet Treasure Island is too hard to make in figure form. I made a Begoony. Nothing Special Really. 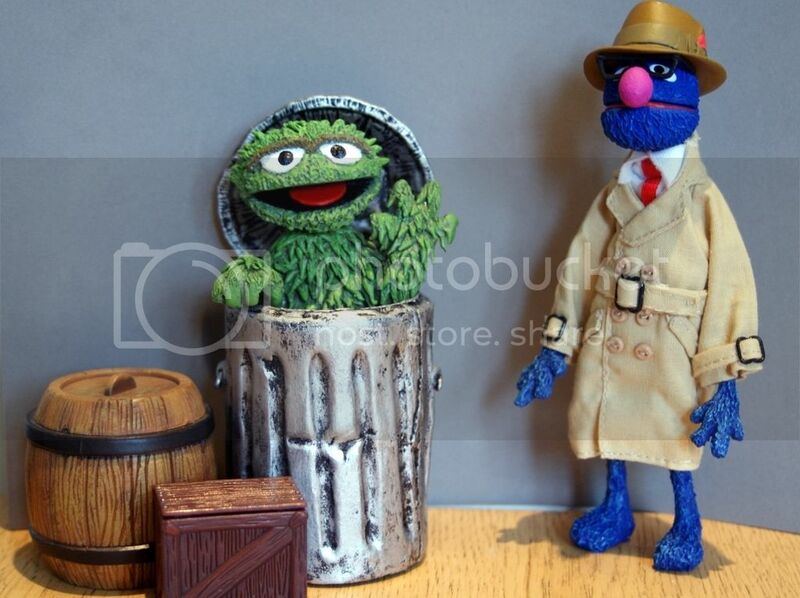 I'd love to see a clay version of Bertha from Muppets On Wheels and Angel Marie from Muppet Treasure Island. Both of my Angel Marie figures just did really not turn out right. Not gonna lie, but he did a bang-up job on making Beautiful Day Monster and Doglion. I'm still around, LOL I have Beautiful Day and Gorgon Heap on Ebay. Also I'd like to share my updated quick close up look of my whole collection. My prime time for making them is during the holiday season because it's colder and I have a little more time. 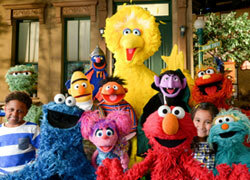 I got a lot of Muppets on my list made. 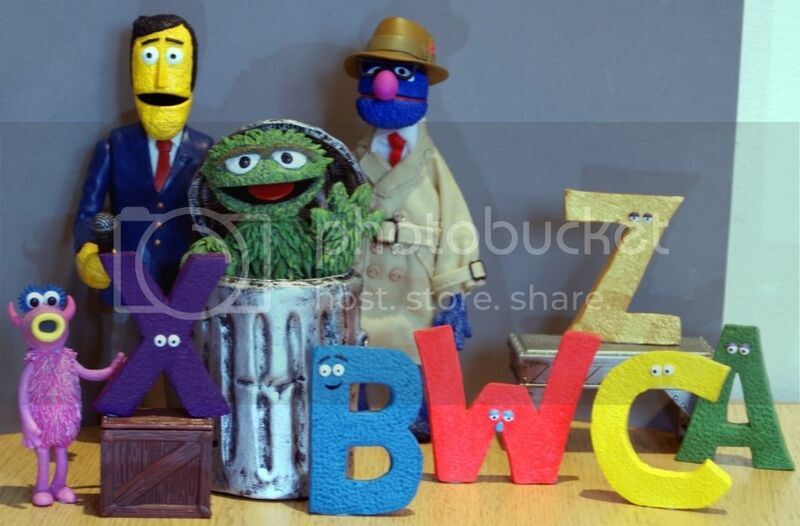 Plenty more to add, including starting on Seasame Street some day, although if I made 1 Seasame Street character I don't think I'd be able to stop for a while because I'd have to have the core characters. Any way the link below is of my collection all together. Are there any other of the Muppet Treasure Island muppets you're thinking about making? Because if you haven't made Jacques Roach or Walleye Pike, i'd like to see they turn out. Very Cool! You do great work! Being a sculptor I get jobs sent my way, and go where the money is. 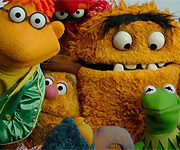 I sculpt and make Muppets when I get time mainly between jobs. Thinking of trying to make a custom standard Bean Bunny from the Muppet Star Wars figures. Wondering if anyone has tried? New to Muppet Central and Muppet Customs - thought I'd share a few of my first attempts on here as I found a lot of inspiration on this website. My Oscar custom and i made a wire body with sculpted hands and feet for the alternate head that came with my Super Grover. 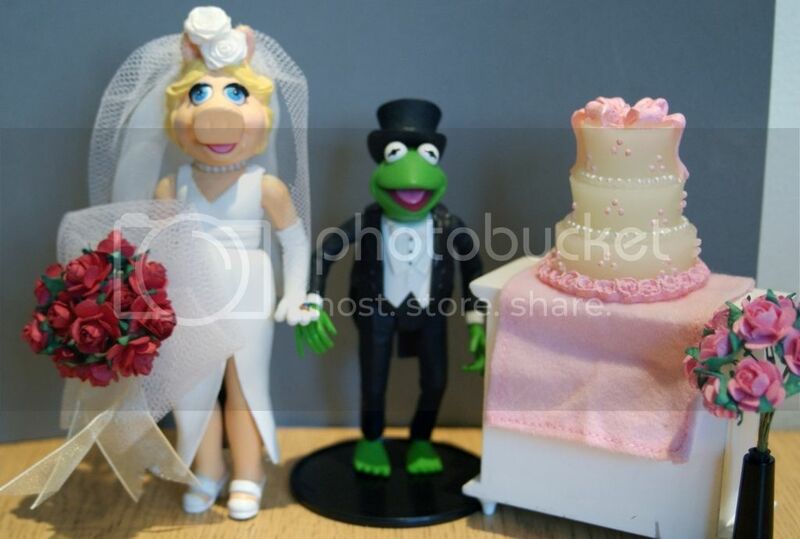 Wedding Piggy custom, Kermit is the Palisades figure.